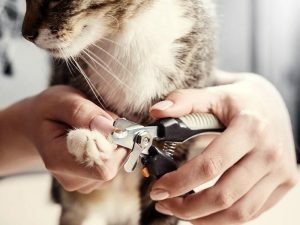 There are a lot of myths circulating about grooming cats, but it’s important to note that most basic cat grooming can be done at home with the right tools and preparation. 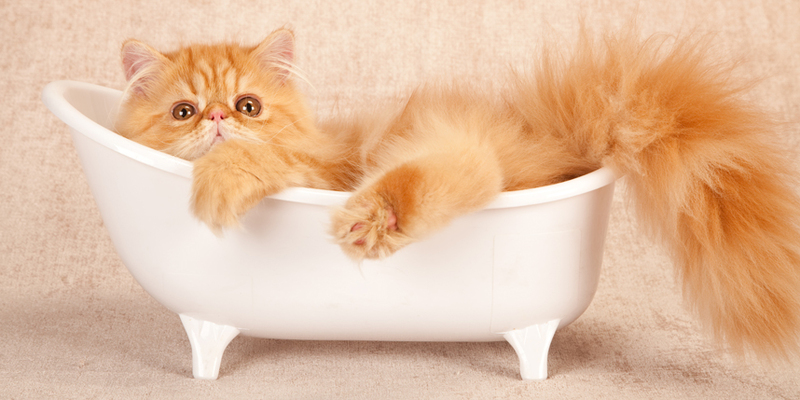 Ensuring that your cat feels comfortable and safe will play a large role in turning your grooming routine into a relaxed time for the both of you. 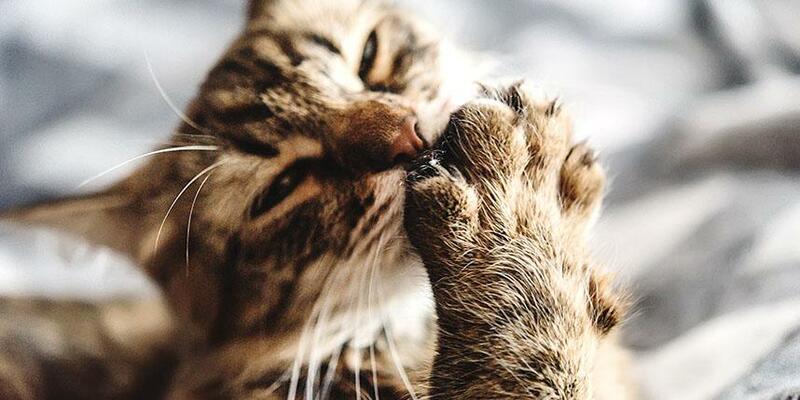 Put your cat’s fears at ease, so you can help your feline look and feel their best! 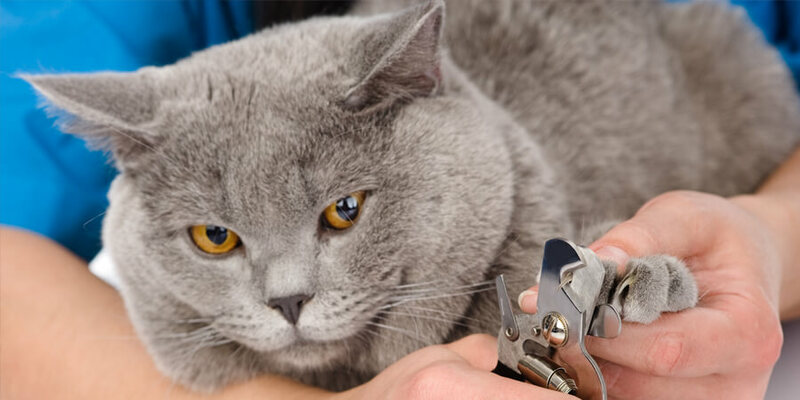 Spend some time getting your cat used to the feeling of having their nails extended before you start trying to trim them. You can do this by calmly sitting them in your lap, and gently massaging the back of their paws until a nail is extended. After releasing their paw reward them with a treat. If your cat is especially anxious, you may want to spend time trying this with each of their nails on all four paws. 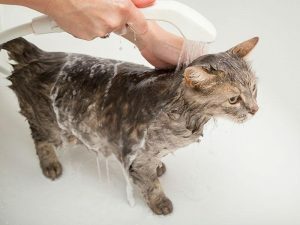 As with nail trimming, you should try bathing your cat at a time when they are feeling most relaxed. 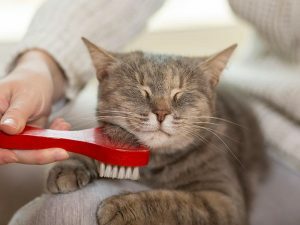 Regular brushing will help to keep cats’ skin and coat healthy and will also help to prevent hairballs, so you should make brushing a regular part of your cat grooming routine. When it comes to treating fleas and ticks on your cat, spot-on treatments tend to be safe, convenient, and most effective. 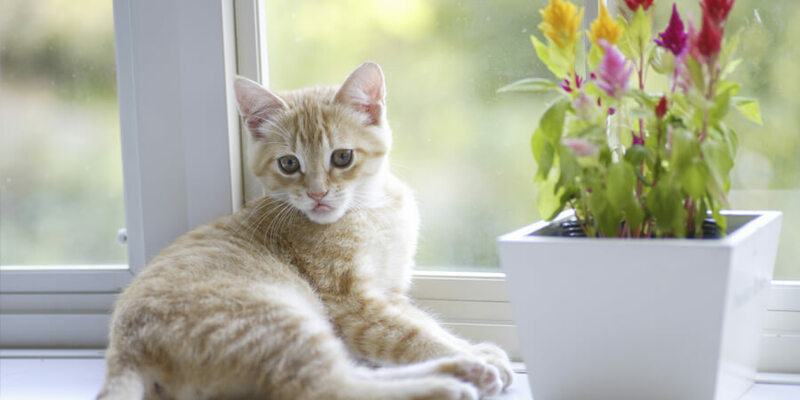 If your cat already has fleas, there are edible medications available, which are effective almost immediately at killing fleas before they can lay eggs. 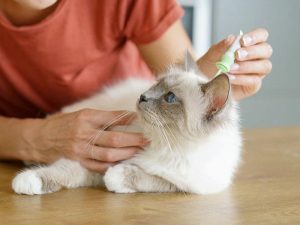 Cats tend to be skeptics, so slowly easing them into regular cat grooming practices is the best way to ensure success. Remember to always reward them with a treat, so they learn to associate these new practices with a positive experience. Lastly, if you ever encounter anything unexpected pertaining to your cat’s skin, coat or health – contact your veterinarian for further treatment advice.